As we start the new year, we’d like to tip our hat to the books published by Silver Birch Press in 2015. The Hollywood Catechism, poems by Paul Fericano (March 2015) — a 110-page collection that shines a bright searchlight on our addiction to pop culture, our fixation on celebrity worship, and our suspicion of religious ideas. Each poem is a small lens flipped to reveal an alternate universe into which the reader enters bravely with no exit sign in sight. Fericano’s unique perspective is marked by a skill and talent that blends socio-political satire with suffering and sentiment. In the process, he manages to acknowledge our shenanigans and celebrate our humanity. Kissing My Shadow, poems by Merrill Farnsworth (May 2015) — a 60-page collection of poetry that features 42 poems charting the author’s soulful sojourn from childhood onward. The book has earned high praise from critics as well as readers. The Great Gatsby Anthology (June 2015) — a collection of poetry and prose inspired by F. Scott Fitzgerald’s novel from 80 established and up-and-coming authors around the world. Dual Impressions: Poetic Conversations About Art by John Brantingham & Jeffrey Graessley (August 2015) — a discussion between John Brantingham and Jeffrey Graessley about art and life in the form of over 90 poems that cover themes such as war, poverty, and social justice. The collection also includes an interview with the authors — where they explain the genesis for the project as well as their collaborative methods, and discuss their museum visits and art research — plus links to the artwork that served as inspiration for the poems. Found & Lost, found & visual poetry by George McKim (August 2015) – a collection of repurposed and remixed Found Poetry and Visual Poetry. George McKim has repurposed and remixed the work of poets ranging from Tristan Tzara to Lyn Hejinian and has transformed their words into a fascinating collection of strangely haunting Found Poems. Augmenting these poems are fourteen vintage dictionary pages that have metamorphosed into full color Visual Poems. IDES: A Collection of Poetry Chapbooks (October 2015) — Silver Birch Press decided to celebrate the year 2015 by asking 15 poets each to contribute 15 pages of poetry to a chapbook collection entitled IDES (released on the ides of October 2015). The result is a diverse mix of poetry by authors from coast to coast. Alice in Wonderland Anthology (November 2015) — a 148-page collection of writing, art & photography from 63 contributors around the world to celebrate the 150th anniversary of Lewis Carroll’s masterwork, Alice in Wonderland. Available in black and white and full-color versions. In May 2015, Silver Birch Press released Kissing My Shadow, a 60-page collection of poetry by Merrill Farnsworth. The book features 42 poems that chart the author’s soulful sojourn from childhood onward — and has earned high praise from critics as well as readers. ABOUT THE AUTHOR: Merrill Farnsworth‘s performance piece Jezebel’s Got the Blues was featured at the Southern Festival of Books, in New York City at the Puzzle New Works Festival, and other venues in the South and Northwest. Her poems and short stories can be found in various collections and anthologies. She is founder of writingcircle.org, integrating psychology, creativity, and spirituality into her work with individuals and groups. Merrill travels nationally facilitating writing workshops and cohosts Howlin’ After Dark, a series for emerging writers in Nashville’s writing scene. 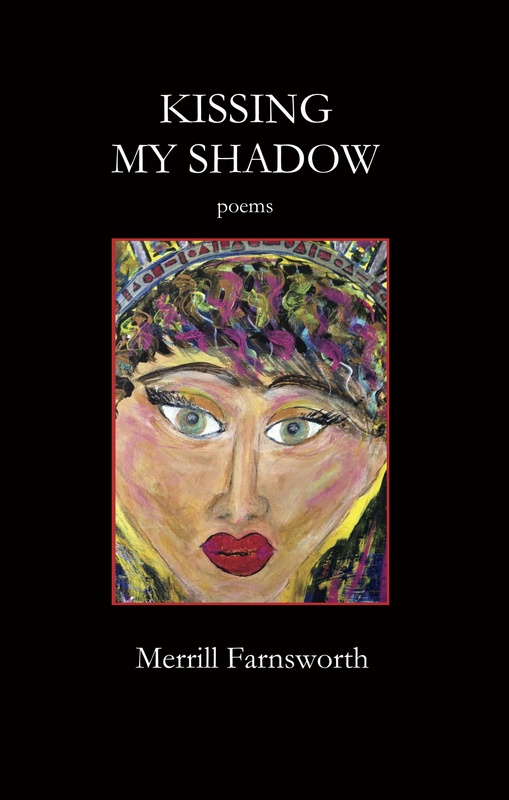 Find Kissing My Shadow, a 60-page collection of poetry by Merrill Farnsworth, at Amazon.com. Cover art by Merrill Farnsworth. 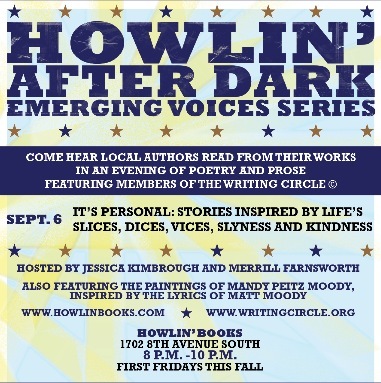 Merrill Farnsworth, author of the Silver Birch Press release Jezebel’s Got the Blues…and Other Works of Imagination will co-host, along with Jessica Kimbrough, HOWLIN’ AFTER DARK: Emerging Voices Series, a new first-Friday event featuring authors reading their poetry and prose. Details below. 5 stars: “Jezebel” has got style and class,” by Thomas Neilson: These monologues and dialogues are spiritual, profound, irreverent, funny, and thought-provoking. I loved all these tales, although my personal favorite was the story of Noah’s Ark told from the perspective of the rat on board. The author — Merrill Farnsworth — has a way of turning a traditional bible story on its head, bringing it alive, and making it meaningful and profound in a new way. I highly recommend this book. 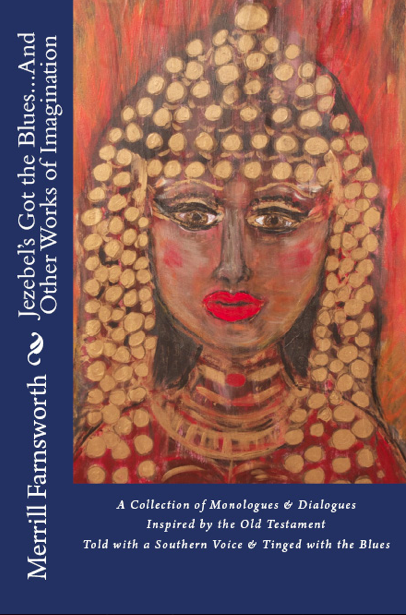 In June 2012, Silver Birch Press released Jezebel’s Got the Blues…And Other Works of Imagination, a collection of performance pieces by Merrill Farnsworth. 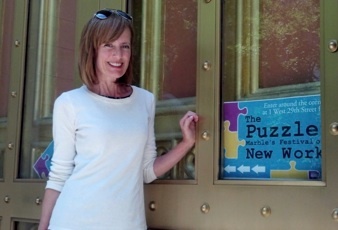 The same month, Merrill took the show to New York City, where it was among a select few featured in The Puzzle Festival of New Work. Merrill recently received a letter from one of the attendees and was kind enough to share it (see below — emphasis mine!). Find Jezebel’s Got the Blues at Amazon.com here. 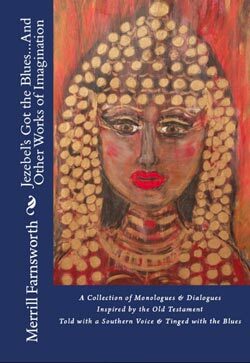 Congratulations to Merrill Farnsworth, author of Jezebel’s Got the Blues…And Other Works of Imagination, on her play’s recent production in New York City. In June 2012, Silver Birch Press published the stage work in paperback. Find it here. Merrill Farnsworth (second from left) during a performance of her full-length drama JEZEBEL’S GOT THE BLUES…AND OTHER WORKS OF IMAGINATION at Christ Church Cathedral, Nashville, Tennessee, on 9/17/11. Silver Birch Press is honored to publish the work of the multi-multi-multi-talented Merrill Farnsworth — Nashville-based poet, dramatist, fiction and nonfiction writer, lyricist, actress, therapist, and visual artist. Born among the Texas tumbleweeds, Merrill came of age reveling in the sights and sounds of Puerto Rico’s Afro-Caribbean culture. The cadences of South Carolina left their mark on her, as did melodies reaching from Appalachia to the Mississippi Delta. She is a published poet and award-winning lyricist, and recently collaborated with Phil Madeira (pictured above, left) on the Americana release, Mercyland. 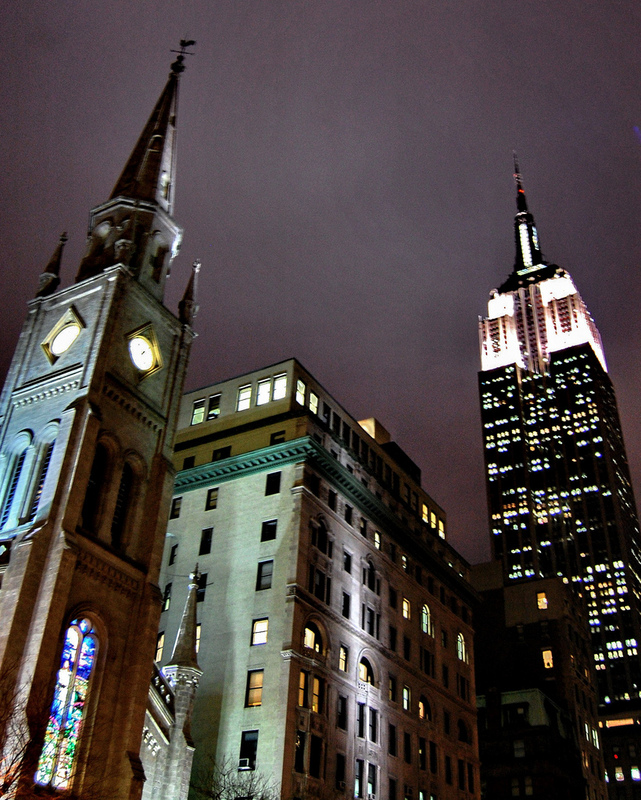 New York City’s Marble Collegiate Church (above left) is located in the heart of Manhattan, near the Empire State Building (above right). 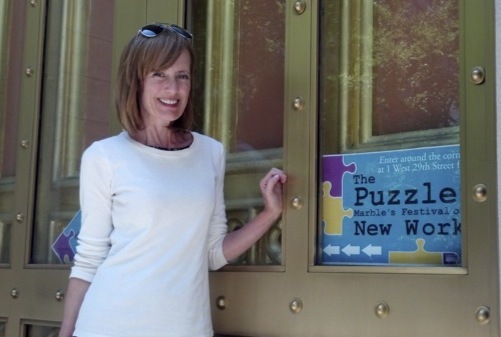 Merrill Farnsworth’s stage work JEZEBEL’S GOT THE BLUES will receive its New York debut in The Puzzle: Marble’s Festival of New Work (2012). Let’s hope some inspired producers attend the performance and book the show for an Off-Broadway run! This full-length play is a collection of stories and paintings inspired by characters and stories from the Old Testament — with improvised blues. This year, 112 submissions were received from 17 states and Canada. 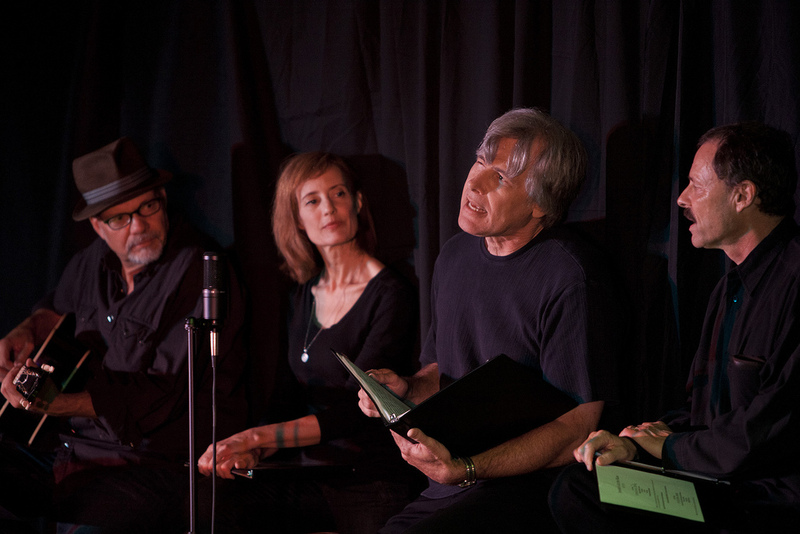 Ten dramatic pieces and a dozen pieces of spoken word were carefully chosen to receive staged readings by professional actors and directors. These pieces originate from New York, Ohio, Georgia, Tennessee, Maryland, Pennsylvania, and Canada. Admission to the performances in The Puzzle is free. 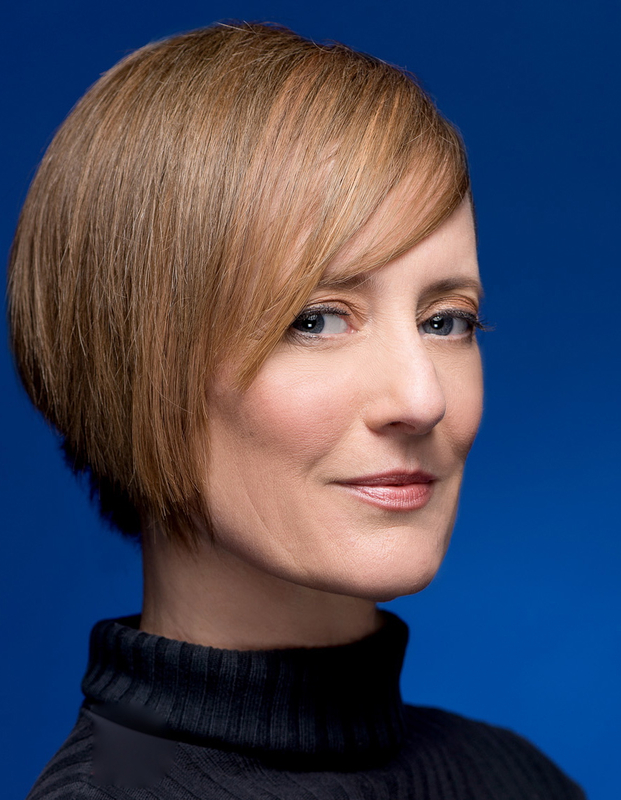 Produced by Brian Hampton, with Marya Spring Cordes returning as Artistic Director. Jezebel’s Got the Blues … And Other Works of Imagination is a series of performance pieces that puts a new spin on stories from the Old Testament. In Merrill Farnsworth‘s inspired telling, Jezebel, Cain, Noah, Delilah, Lot’s wife, and other denizens of Bible history reveal themselves as people with very modern stories to share. Jezebel and her friends are true originals — taking readers (and audiences!) on a creative, thought-provoking, insightful ride. Available on Amazon, where the book is garnering impressive reviews.